After a complete redesign last year, the CR-V has not changed much since 2018. But, compared to the previous generation, this CR-V is notable for its sleeker style, increased interior space, and modern technology. Its new turbocharged engine balances proficient speed with enhanced fuel economy. Inside, upgraded materials - including a soft-touch dash and elegant, refined seating - make the new generation of CR-Vs feel increasingly luxurious. And, of course, the 2018 CR-V comes with that refreshing new car smell. When you shop for a new CR-V, you can choose from four trim models: the LX, EX, EX-L and Touring. 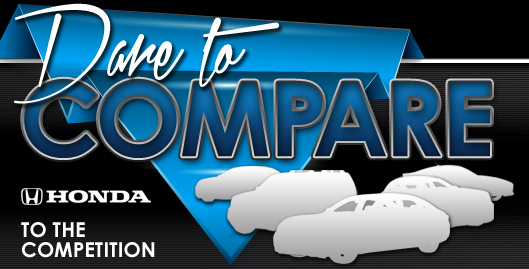 Each offers increasingly luxury and convenience, so there's a good option for every kind of driver - and budget. The entry-level LX starts you off with everything you need for a comfy, modern commute. You can use Bluetooth and USB connectivity to play your favorite podcasts or stream Pandora radio. 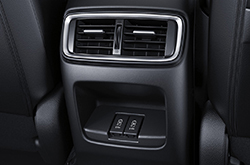 Set the automatic climate control, and it maintains your perfect temperature, no matter how long the trip. In the EX, your ride to work is a bit more exciting. The turbocharged four-cylinder engine kicks out 190 horsepower and 179 pound-feet of torque for a sporty commuter. This model also features a sunroof so that you can fill the cabin with light. 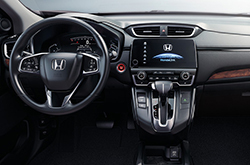 The upgraded infotainment system includes a 7-inch touchscreen and complete smartphone integration. Apple CarPlay and Android Auto technology display smartphone apps directly on the central touchscreen, so you can interact with your Maps app without looking away from traffic. You can also use your phone's sophisticated voice controls through the primary system, making it easy to switch music playlists without lifting a finger from the wheel. In the EX-L, you can add additional creature comforts to the EX lineup. These include leather upholstery and a programmable-height power liftgate, both of which make your ride a little more luxurious. The auto-dimming rearview mirror reduces nighttime glare. In the top-trim Touring, you will enjoy complete luxury. Thanks to its LED headlights and dual chrome exhaust tips, the Touring is easy to spot in a crowd. The hands-free power liftgate comes in handy when you want to load the cargo hold, but you've got your hands full. The ambient interior lighting gives your nighttime rides a soft modern glow. 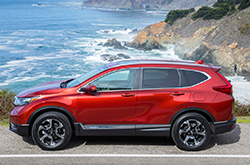 The entry-level CR-V comes with a 2.4-liter four-cylinder engine rated for 184 horsepower and 180 pound-feet of torque. It does a pretty good job of getting you up to speed, and it earns up to 26 city/32 highway mpg. But, if you want maximum performance and increased fuel economy, check out the turbocharged four-cylinder, which comes standard on the CR-V EX and up. It generates 190 horsepower and 179 pound-feet of torque so you can speed up the highway in style. This engine also earns 28 city/34 highway, so you can make the most of what you spend at the pump. No matter which engine you choose, you can add all-wheel drive to your CR-V for enhanced traction on slick surfaces. In government crash tests, both the front- and all-wheel-drive versions of the CR-V earned perfect five-star ratings for overall protection. The Insurance Institute for Highway Safety named the CR-V a 2018 Top Safety Pick because it received the IIHS's top score of "Good" in every single crash test. The CR-V's front crash prevention system, which can automatically apply the brakes when it senses an oncoming accident, earned a rare IIHS score of "Superior." Honda also offers a range of driver aids, like the blind-spot warning and lane departure intervention, to help you stay safe on the highway. What are you waiting for? Find your CR-V now!